Usually accompanying your friendly local pirate, it’s widely known that parrots have a love of all things rum (don’t we all) and it was only a matter of time before a tall tale would link the two. I was fortunate enough to meet with Andy O’Hara recently and he told me that the rum is a blend of three rums. 3 and 5-year-old Guyanan rums along with a 5-year-old Trinidad and Tobago Rum. These rums are blended in Amsterdam then flavoured with vanilla, lime, cinnamon, cloves and a ‘secret blend’ of spices in the UK. Andy and his business partner Adrian Keogh, already both successful in their ‘day jobs’, decided to produce and bring the rum to market as a fun project with no real short-term targets for massive sales. They are solely interested in the fun of it and it shows as Andy is an engaging character. This laid back attitude shows itself in the style of the rum which is firmly aimed at a younger audience with mixing in mind. Its popularity has led to interest from supermarkets and larger stockists so it’s certainly a case of ‘watch this space’. The rum itself is a tasty prospect. In the glass: The rum is a golden, almost apple juice colour. Vanilla, lime, cloves, cinnamon, nutmeg, cola, cherry and almond like marzipan aromas jump out of the glass and fight for your attention like a boisterous puppy dog. In the mouth: The taste is completely consistent with the smell. Sweet spice is present initially with a wave of vanilla and cinnamon following. There is a nutmeg kick which is then backed up by lime and maraschino cherries rounding out what tastes like a liquid bakewell tart that gives a little cinnamon burn at the end in its syrupy, vanilla finish. It’s so easy to drink neat but mixed is where its heart lies. The website lists their recommended serves including such aptly named drinks as O’Hara’s Spiced Tea and Flaming O’Hara’s ( I think Moe the Bartender may lay claim to this one) and can be found here. My favourite creation (which is not on their site) is a long drink that requires a classy bamboo shaped glass with ice, 50ml of O’Hara’s Spiced, 75ml clear apple juice, a squeezed and submerged lime wedge and ginger beer to top it up. 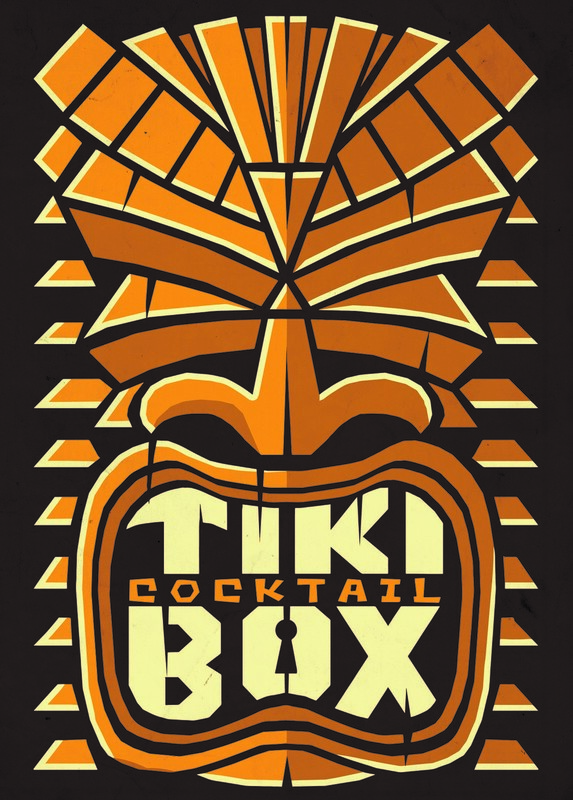 It’s a rum that knows its market backed by a company that wants to have a good time seeing where the journey takes it. As a wise man once said, ‘rum is fun’, and this one certainly is. 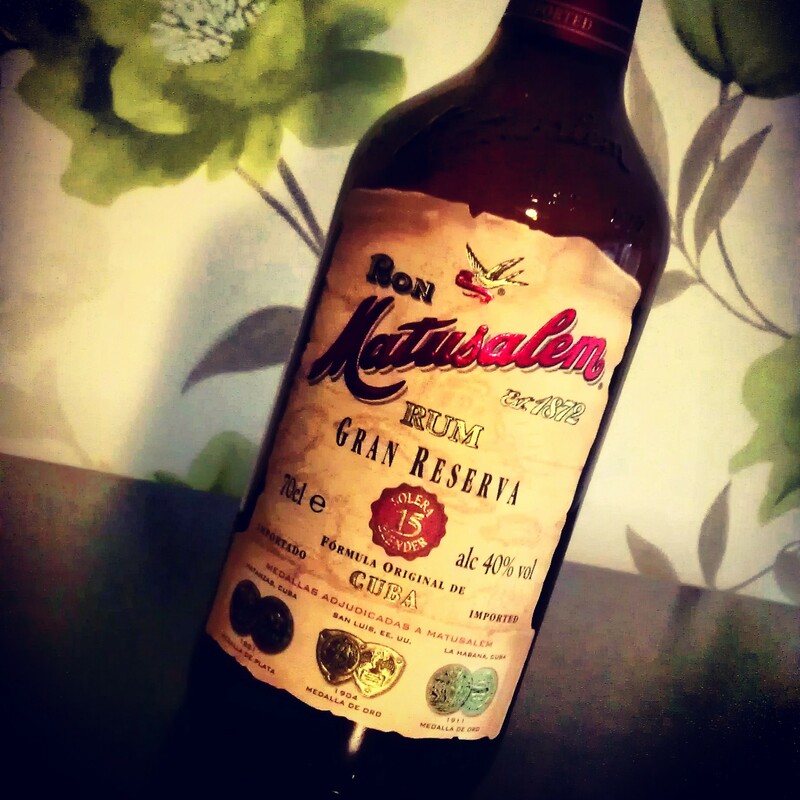 Ron Matusalem is a Cuban rum……but rather strangely it is now produced in the Dominican Republic. The tale of how and why this came about is an interesting one filled with awards, destructive legal battles and a family forced into exile. In 1872, Benjamin and Eduardo Camp, two Spanish brothers embarked upon their adventure accompanied by their partner, Evaristo Alvarez. 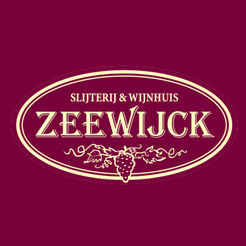 They endeavoured to create a smooth rum of the highest quality. They opened a distillery in Santiago de Cuba and took their cues from the production methods and ageing processes used in the production of brandy and cognac to create the closely guarded formula for Ron Matusalem. 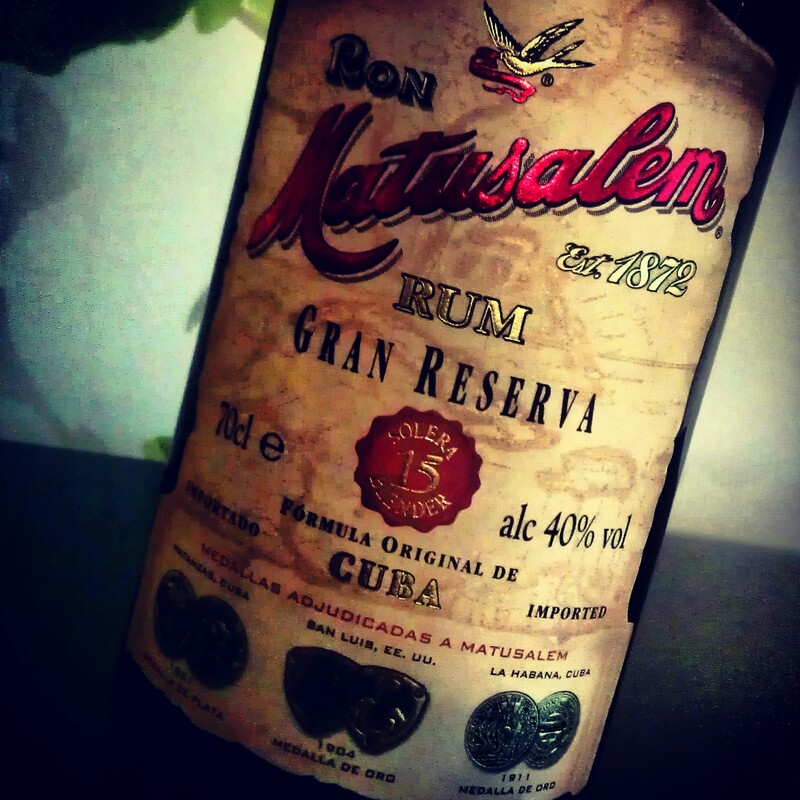 Over 140 years a later, Matusalem Rums are still highly regarded as excellent examples of Cuban style rum. In 1912, Benjamin returns to his native Spain leaving Eduardo and Evaristo running the company. Claudio Alvarez LeFebre, the son of Evaristo joins the company and continues to run operations for the forseeable future. 25 years in fact. His knowlege and experience in the production of rum along with his business acumen sees the company continue to grow within the global marketplace and begin to become recognised with awards. With prohibition in the U.S, tourists flocked to Cuba and Matusalem grew in popularity with these visitors at a time when Cuba was at the height of its popularity, with Havana being considered as the Paris of the Americas. The company profile grew and at the beginning of the 1940’s, Claudios’ only son, Claudio Alvarez Soriano is asked to join the company. His drive and skills in the marketplace which he gained whilst in the U.S contributed greatly to the brands success. However, in 1960, the events surrounding Fidel Castro coming to power and the regime change within Cuba forced the family into exile and tensions developed around who had control of the Matusalem brand. During the 1970’s, several groups were struggling for control of the company and in the early 1990’s, Claudio Alvarez Salazar, the great-grandson of the company’s founding member Evaristo brings forward legal action and sues for control of the company. In 1995 a settlement is reached giving him sole control of the family company. Following this regaining of the company control, the Alvarez family focuses production solely on premium rums. Matusalem completes its relocation by beginning production and bottling in the Dominican Republic. With its excellent sugarcane, sun, warm climate, the original formula for the rum is adhered to and production of the rums begins in earnest. In 2002, the Matusalem brand is relaunched worldwide and in 2005, Dr Claudio Alvarez Salazar passes on control of the company to his eldest son, Claudio Renaud Alvarez. He becomes company CEO, therefore seeing the fifth generation of the Alvarez family taking control of the Matusalem brand. The range has a fair few products. Available in the UK are the Platino, Solera 7, Clasico 10 and Gran Reserva 15. There are others in the range but sadly they are unavailable in the UK…..at the moment. The rum that I have in my possession to talk about today is the Gran Reserva 15. The Solera. This is the final stage where rums from all of the upper casks are aged before being removed and blended to create what is said to be, the Cognac of Rums. The 15 used in the rums title reflects, in this instance, the average age of the rum contained in the blend. Anyway, down to business. What is it like? In the glass: The rum is a dark amber / copper colour with red flashes. It leaves thick slow droplets on the glass. Initially, there really isn’t much of an aroma. After a while leaving the glass sitting, I can pick up light vanilla and woody notes with a very light almost honeyed fruitiness. In the mouth: There is a fruitiness with oranges and apricots but you have to work for it. This is followed by caramel and a slight vanilla sweetness. There is a touch of toasted spice on my tongue. There is absolutely no kick on the finish which is of medium length with a light spice warmth which leaves quickly and is replaced by vanilla. There is a slight coconut aroma left in the glass. It’s drinkable and when you are in the right mood, I’d imagine large quantities of this can disappear very rapidly. The state of the bottle tells its own tale as to how many times I’ve been in the right mood as its close on full. Its just not that interesting. It’s an average example of this style of rum and one that you should try at least once. 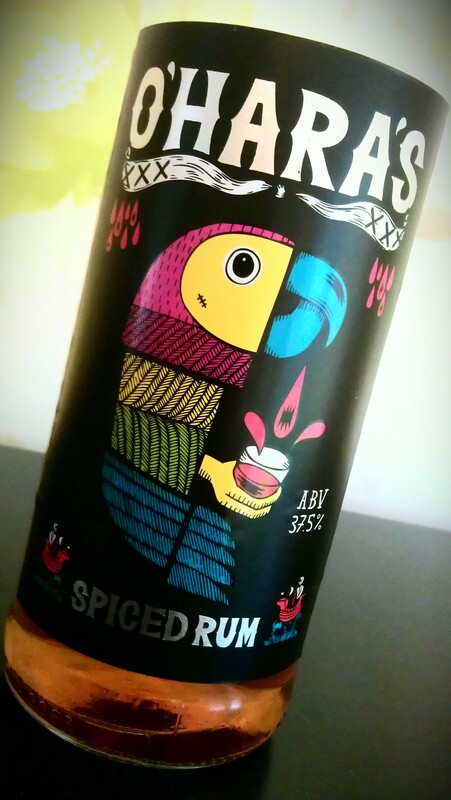 It’s almost more savoury than sweet and for me it is definitely a rum that I need to be in the right mood to drink. It has no prominent flavours competing for your attention, but it does have a level of complexity that is so subtle that I need to feel like I want to drink this rum, rather than drink a rum. Its just a little insipid to warrant being a definite purchase.